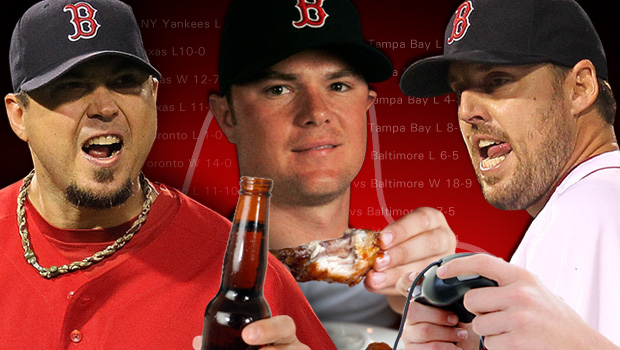 Red Sox scapegoat BEER for flop! The epic collapse of the 2011 Boston Red Sox has been well chronicled (and today, as a result, their once-beloved general manager appears on his way out of town). But, according to a new Boston Globe report, the team’s dysfunction and lack of effort was far more egregious than the casual fan would have guessed. 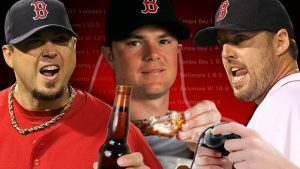 The newspaper says that during the team’s September slide, the team’s top three starters – Josh Beckett, Jon Lester and John Lackey -settled into a routine of swilling brew, eating fast-food fried chicken, and playing video games in the clubhouse rather than support their struggling teammates in the dugout.